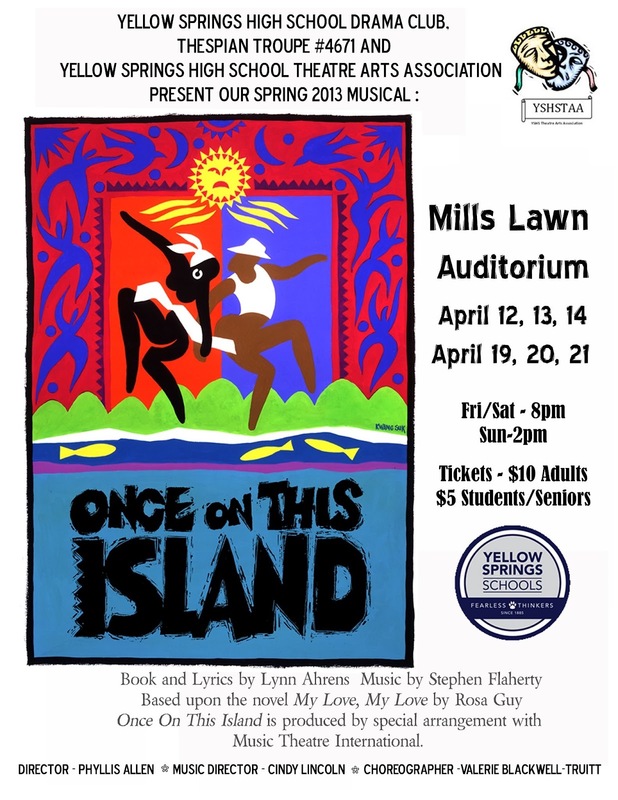 Get into the groove of the Caribbean beat and come see the spring musical Once On This Island, a Caribbean folktale of race, class, and love in the storytelling tradition. 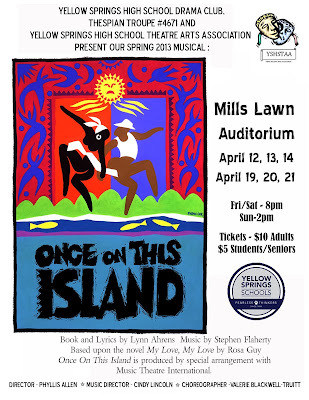 The show opens at Mills Lawn this Friday April 12th at 8 pm and continues Saturday 4/13 at 8 and Sunday 4/14 at 2 pm. The show then continues next Fri 4/19 and Sat 4/20 at 8 and Sunday 4/21 at 2:00. You can also still join the curtain warmer this Saturday from 6-7:45 at the Morgan House, 120 W. Limestone. For $25.00, you'll be feted with hors d'ourvres, sparkling wine, desserts, and preferred reserve seating at the 8 pm show. To reserve for the curtain warmer, you can call 767-8529 or pay at the door.